We offer exterior house detailing service Ann Arbor residents want. For exterior house cleaning service, call our trusted technicians to get the job done properly. Shack Shine’s friendly, uniformed technicians arrive on time in shiny, organized vans to provide you with one detailed visit that cleans the exterior of your home to a nearly like-new condition. Our customers don’t even need to be home – we’ll do the job done while you’re gone. We’re efficient and professional, providing both before and after pictures to show you just how clean we make your home. Shining your neighbourhood, one home at a time. Gutter cleaning isn’t just that task you hate to do. It’s a dangerous job that someone has to do. Shack Shine can do it for you without any risk to you or your home. Properly flowing gutters are free from debris. And, they allow water to move safely away from your home, ensuring your foundation remains protected. To achieve this perfect flow, we use gutter vacuums – high powered systems that pull all of the debris from your gutters into a large canister. There’s no need for ladders here. This high-tech solution is a must. Your home will love you and clean gutters. Who wants to look out dirty windows? Our window cleaning service is a key component to our house detailing service Ann Arbor can trust our team to tackle even those hard-to-reach windows. We use a professional system that allows us to properly wash each window and rinse it with a streak-free shine – like a ray of sunshine on a cloudy day! 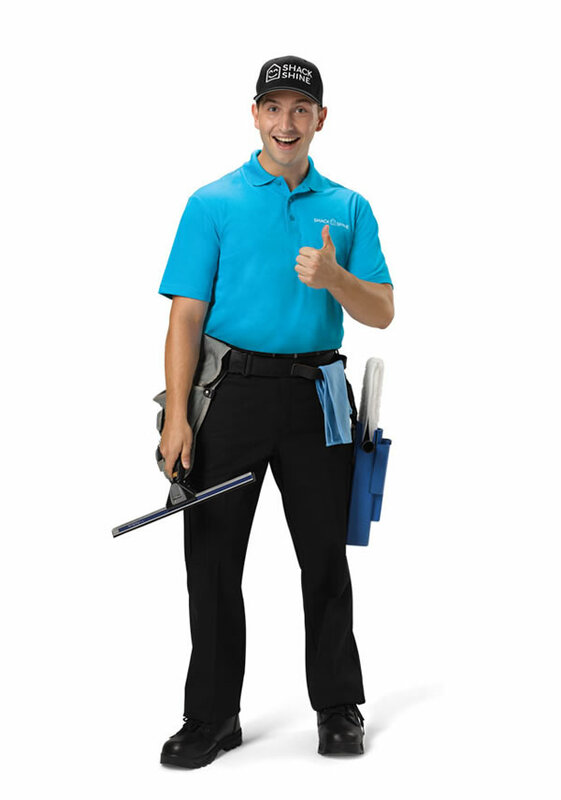 Your home is important to you, and we are the house details you can trust to make it as clean as possible. Shack Shine’s house washing service is an essential form of house maintenance. The grime and debris buildup on the exterior of your home causes it to deteriorate too soon. That means costly painting and replacing of exterior siding, roofs, and more. We use water-fed poles and low-pressure rinsing to wash away that grime. We only scrub by hand to ensure your house remains clean and looking its best. As a part of the service we offer, we’ll move and replace any outdoor furniture to get the job done right. Roof cleaning isn’t a task many homeowners think about, but it is one way to prevent early deterioration of your roof tiles and shingles. We use low-pressure systems to properly wash away grime and buildup here, ensuring a clean, sparkling result. Positively shining every time. Our Ann Arbor exterior house cleaning service includes extensive roof cleaning as a way to improve the look and condition of your home. Power washing is an excellent way to restore the look of any horizontal surface around your home. We use a safe method that strips away debris and ground in grime so that your cement, walkways, and patios look brand new. Our power washing eliminates the need for harsh chemicals that aren’t good for the environment and especially not your landscaping. Pressure washing offers yet another solution for cleaning way unwanted stains, debris, mildew, and more from surfaces. Let’s talk about cleaning your brick, vinyl siding, or many other surfaces. This method doesn’t require chemicals and it is very safe to use on a variety of surfaces. We love making your home smile! Are you getting ready for the holiday season? We are excited to offer our residential Christmas light supply and installation service. No matter the size or shape of your home, our experts can transform it and make it shine the brightest this Christmas. Our offer commercial grade lights that shine brighter, last longer and are energy efficient. 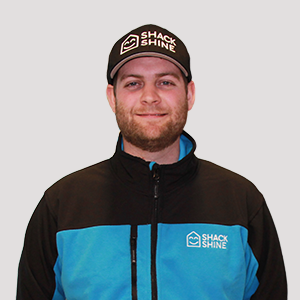 Hello, my name is Ethan and I am the Franchise Partner for Shack Shine Ann Arbor. My passion for cleaning and detailing started at a young age as I worked at a local car wash throughout high school and college. Always having an interest in entrepreneurship, I attended Eastern Michigan University where I majored in Business with a discipline in Entrepreneurship. It was here were I had great hopes of one day starting and owning my own successful business. After spending 3 years in corporate sales with a siding and windows company, I reassured myself that entrepreneurship was indeed for me. After several months of searching, I came across Shack Shine who is under the O2E Brands umbrella, that also includes 1-800 Got Junk, You Move Me, and WOW 1 Day Painting. It was a perfect match, and exactly what I was looking for! It is my hope to be an active business owner in the area, and make our great community SHINE one Shack at a time! If you see the Shack Shine team around in our Shiny Van, waive us down and say hi, we are ready to serve!